We’re feeling very optimistic thanks to a new forecast from the Thompson Research Group that predicts 2015 to be the best year for the steel industry since the Great Recession. The main driver behind the improved outlook is the in growth commercial construction. 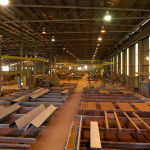 According to the research, developers were not investing in retail projects during the economic downturn, however they are now pursuing more commercial building projects which are creating a greater demand for steel. These new construction projects are expected to drive growth between 5 and 10 percent in 2015. This growth can also help improve our economy. Domestic steel producers will benefit from an increased demand as well as companies which manufacture, distribute, and install steel. As a Family of Steel, Macuch Steel can help contractors and construction companies with all their structural steel needs. 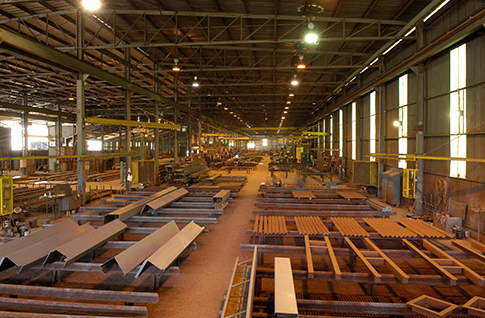 Our steel service division houses a range of steel products to meet our customers’ needs, including beams, channels, plates, round bar, pipe, and more. We also have our rebar division which fabricates concrete reinforcing steel, smooth dowels, specialty projects, supply welded wire fabric, and bar supports. Additionally, we have our structural steel fabrication, steel erection, and steel stair divisions to provide full service to our clients. To learn more about all our divisions, visit our website. We are also actively posting more company updates and steel industry news on Twitter and LinkedIn.